Many of the Americans with sleep apnea use the doctor-prescribed CPAP machine. What’s terrifying is that for the millions of sleep apnea sufferers who use CPAP, breathing contaminated air because their CPAP machine is dirty could also seriously endanger their health. If those with sleep apnea don’t regularly clean their machine, then it can lead to foul odor, skin irritations and built up bacteria that can lead to sinus infections and other illnesses. In this episode, Dr. Robert Rosenberg discusses SoClean, the world’s first automated CPAP cleaner and sanitizer. It is an innovative device that naturally sanitizes CPAP equipment without the need for disassembly, water or messy chemicals. It’s the safer, healthier way to breathe cleaner and have a better CPAP experience. Neal Howard: Hello and welcome to this Health Supplier Segment here on Health Professional Radio. I’m your host Neal Howard, thank you for joining us. We’re going to talk today to Dr. Robert Rosenberg for SoClean®, he’s going to talk about the world’s first automated CPAP cleaner and sanitizer. It’s an innovative device that naturally sanitizes CPAP equipment without the need for disassembly, water or any other messy chemicals. Welcome to the program Dr. Rosenberg, how are you? Dr. Robert Rosenberg: Thank you Neal. I’m fine, how are you this morning? Neal: Great. Well how many people are we talking about that use a CPAP machine here the United States? I know it’s in the millions I’m sure. Dr. Rosenberg: Sure. We know that we have about 22 million people with sleep apnea in the United States, probably 20 to 30 percent of those have been diagnosed. Majority of those are probably using CPAP machines. 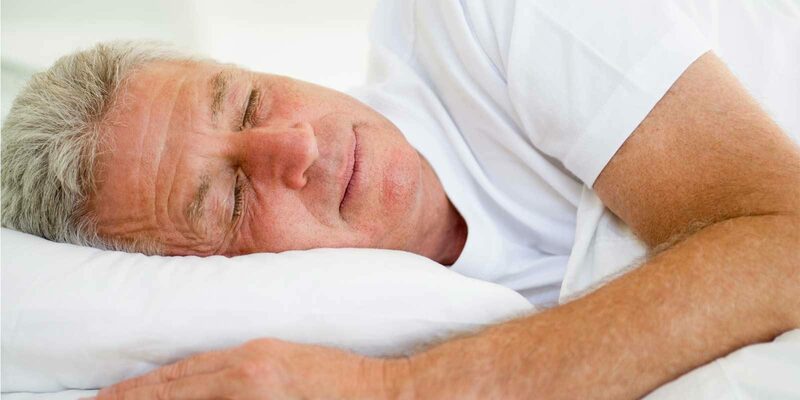 There are other forms of therapy for sleep apnea but certainly CPAP is the most popular and there’s the one that’s covered by almost all insurers and it is the first line of therapy for most people would sleep apnea. Neal: And it is a prescribed therapy. You can’t just go and get an over-the-counter CPAP machine, is that correct? Dr. Rosenberg: Absolutely. Now CPAP is a prescribed therapy. You need to be studied either with home sleep testing or an in lab study and then under ideal circumstances you are titrated in the laboratory by a board certified technician in a laboratory run by someone like myself, a board certified sleep doctor who then interprets the study and make sure that the proper pressure and the proper application of the machine is the one for you. Neal: Now a lot of people that get CPAP machines complain about they’re bulky, they inhibit sleep even more than their sleep apnea seems to inhibit their sleep. What have you been told about CPAP machines in your career? Dr. Rosenberg: Well we have patients who come to my facility and see me in consultation and when I tell them that they have sleep apnea, if they’ve already been tested or if they come back to see me after being tested – a lot of them are resistant at first because of what they’ve been told by quote their friends and there is about a 65% compliance rate. However, in some facilities such as my mine and in some others we work with patients diligently. We can get that up to about 80 to 85 percent. I also tell them that the new machines are not bulky, they’re very portable. In fact, there are CPAP switch you can buy that are actually travel CPAPs that are the size of a Dixie cup but they’re not covered by most insurance however but some of my patients buy them anyway. But the machines are quiet, they’re nothing like the ones out 15-20 years ago, they’re auto adjustable meaning the pressures can go up and down based upon the status of your throat at the moment and your airway so they’re much more comfortable for the patients. They’re not exposed to a constant high pressure or set pressure and I find them in most cases we can get them compliant with the CPAP and what I’ve heard when they come back and see us that say “You know what, that wasn’t so. It’s it’s nothing like I was told by my friends.” Some of whom have much older machines. Neal: So once the I guess the disillusionment about size and bulkiness, were those the only concerns that a person using a CPAP voiced? Dr Rosenberg: Well they were also concerned about infection so there are some studies, that one published in Respiration in 2001, it showed that patients who use CPAP had a higher incidence of upper respiratory infections when followed over about 165 month period of time. That’s twice as high as those with sleep apnea who chose not to be treated or were not treated at all. Of course there was a recent study showing the incidence of pneumonia may be as high as 30% higher in people with sleep apnea. Overall about 20% but 30% of those use CPAP but as I tell the patients with proper cleaning and especially when you use something like SoClean® which has came out in the last few years, we find that the incidence of infection is far less and people are relieved to know that there’s a convenient way of cleaning their machine that will not require a lot of time and really is quite simple. Neal: So let’s talk about SoClean®. I mean seeing as how infection can happen, let’s talk about how SoClean® minimizes the instance of infection and about how convenient it is for the user. Dr Rosenberg: Right. SoClean® is basically ozone or activated oxygen and it is attached to, impart to the humidifier of the Machine which is simple. It’s all done with a hose, it takes no more than a minute or two to set it up. You set the timer, it usually runs for about five to ten minutes, you don’t have to be watching it. You need to allow about two hours after cleaning before you can utilize the mask or the machine which is not an issue. You can even set the SoClean® for the time of day you want it to go on and off but the ozone or the activated oxygen really is 99% effective as a germicidal, including mold as well as bacterial and viruses. And the beauty of it is it gets into all the nooks and crannies of the hoses of the mask of the humidification system which we believe is a major breeding grounds for infection because a lot of people, either they leave the water in there, they don’t change their water regularly or they just have some residual water that’s left in there and that can be a breeding ground for infection but with the ozone it gets into all the nooks and crannies and sterilizes it irregardless. And it’s much more efficient than using soap and water and pads and things such as that or vinegar and water which in the old days that’s what I told my patients to use. But with the advent of SoClean®, if they get one, that’s not necessary. Neal: Wow. So it’s not even necessary to use the old-school cleaning method, that sounds great. Give us a website where we can go and learn some more about SoClean®. Dr Rosenberg: Well sure. There is www.soclean.com that you can get on their website on the internet and it has videos that show you how to use it. They also have information about what a lot of what I’m talking about, about how the rate of infection and how germicidal it is and how easy it is to use. It’s quite available to the consumer and I do recommend it to my patients because of its utility and its effectiveness. Neal: Now this is not only, as you say, getting into the nooks and crannies of the of the hosing. It also deals with I guess the residual skin from your face, some of the oils that people put on their face before they go to bed, all of these things that can build up and contribute to infections and other discomfort, not just the mold and things that could build up because of standing water that isn’t changed out. Dr Rosenberg: Correct, it is effective. I tell some of my patients, at least to use a CPAP wipe occasionally on the mask and of course to change their cushions and their masks. The cushions should be changed about every 30 days, the masks – the total whole masks should be changed about every three months and most insurers will do that and the hoses should be changed every month and most people who are on CPAP get those in the mail from their durable medical equipment company. But in the interim the ozone is extraordinarily effective in dealing with those particles and those areas that it would be very difficult to alleviate otherwise. Neal: Well Dr. Rosenberg, I thank you for coming in and telling us all about so clean today. It’s been a pleasure and I’m hoping to talk with you again in the future. Dr Rosenberg: Thank you Neal, it’s been my pleasure as well. You have a good day.